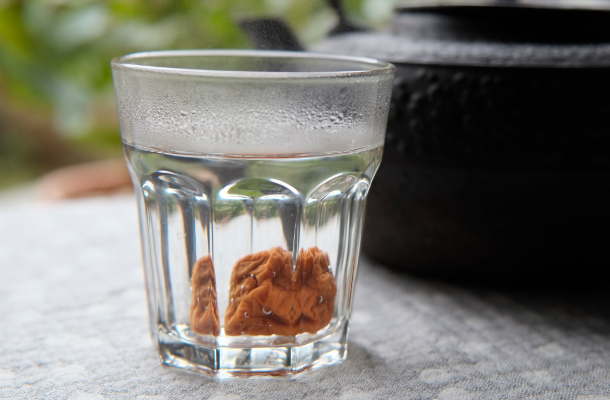 Starting your day with a cup of warm sayu water is a great way to wake up your body and soul. The warm water gently wakes up your sleepy body and shakes the cobwebs from your mind, starting your day off on the right foot. 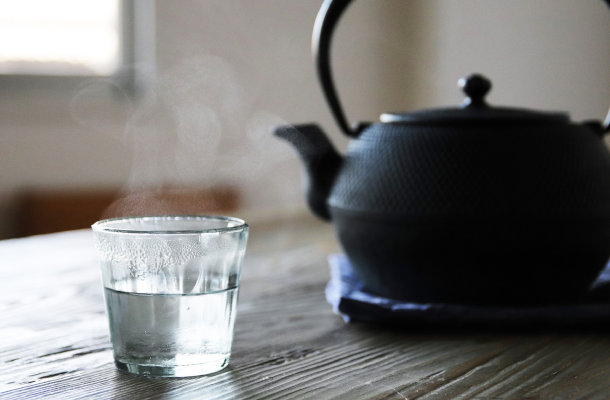 It’s easy to enjoy even on busy mornings, and the health and beauty benefits of warm water made in iron kettles is especially appealing for women. Sayu is plain boiled water, usually drunk on its own while still warm. Also known as ‘shirayu’. Warming the body from the inside promotes blood circulation, helping alleviate headaches, stiff shoulders, and chills. Blood circulation also helps balance the autonomous nerve system, helping recovery from exhaustion and relieving fatigue. By promoting blood and lymph circulation, toxins and excess fluids are discharged from the body, helping reduce puffiness, and keep the skin clean. No matter what health and beauty benefits there may be, some people just don’t want to drink plain tasteless water. But water boiled in iron kettles has a special, soothing ‘taste’ that is often described as ‘gentle’ or ‘sweet’. This is a result of minerals in the water such as calcium and magnesium adhering to the inside of the kettle, leaving the water soft and easy to drink. ※Tap water in Japan is typically soft water. Bottled water and overseas water is often hard water rich in minerals which give it a hard taste. ※Minerals in the water crystalize on the inside of kettles, forming white scale which helps protect the kettle from rust. Water heated in iron kettles enhances the flavor of tea and coffee, making them a popular choice for tea and coffee-lovers. But, can plain warm water really taste nice?! 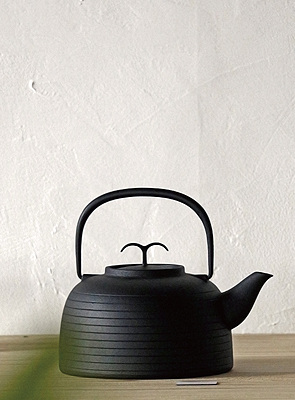 If you’re not convinced, then try a cup of sayu made in an iron kettle for yourself. You’re sure to be surprised by the mild taste and gentle feeling of the warm water soothing your body. Make a point of starting your day off with a cup of delicious, warm sayu! Here are some tips for enjoying sayu from your iron kettle. Sayu is best enjoyed at around 50℃, a little higher than body temperature. As iron kettles retain heat, it’s best to pour the hot water into a cup and leave it to cool for a while before drinking. Starting your day with a cup of sayu is great, but it can also be enjoyed after your lunch break and before bed. Clean your body from the inside and stay in great condition all day long. Drinking your sayu slowly, a little at a time, allows the warmth to gently seep through your body, enhancing health and beauty effectiveness. 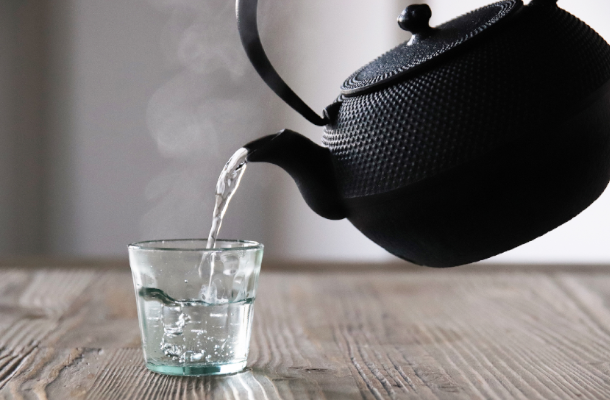 Straight after getting up in the morning, it’s especially good to boil the water slowly in your iron kettle and allow the sayu to gently wake your body and soul up. Put a pickled plum in the cup and pour in warm water. Mash the plum with a spoon to release the flavor. Pickled plums add to the health benefits of sayu. Enjoy one a day. Add a pinch of powdered turmeric to your sayu and sweeten with honey if desired. 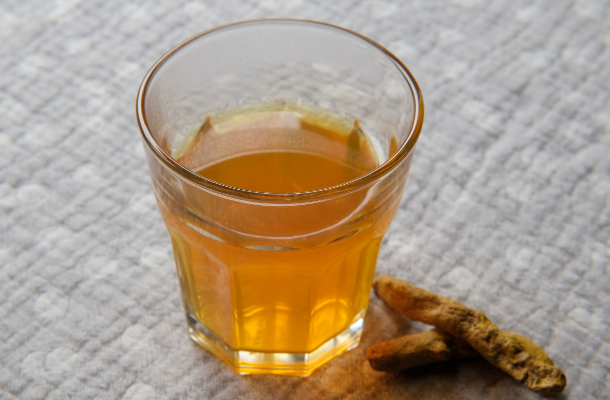 Helps liver function, antibacterial, anti-inflammatory, improves skin tone. 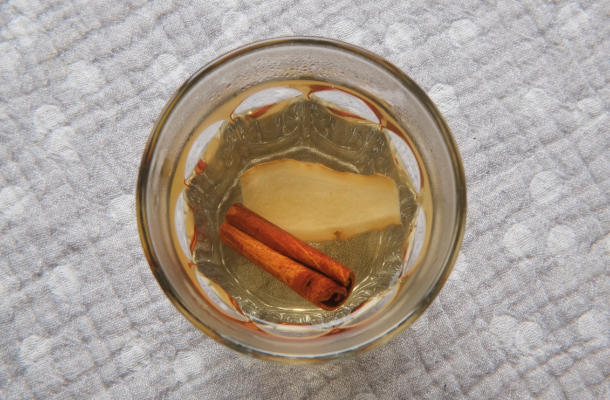 Add a cinnamon stick and one or two slices of ginger to your sayu. Add a little raw sugar if desired. 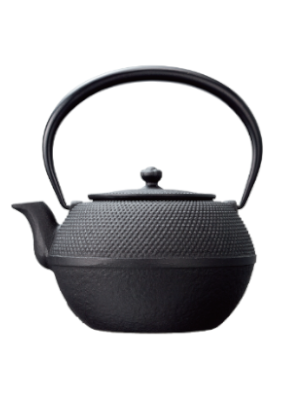 Enjoy the luxury of time to ponder yourself, with warm sayu from a carefully crafted iron kettle. Paying a little extra attention to an everyday activity turns it into a ‘special’ and ‘fun’ time. 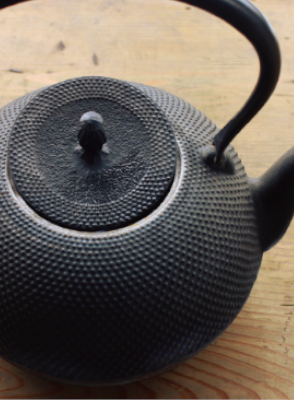 Enjoy a little time with sayu made in an iron kettle to soothe your body and soul. A little care at the start of your day makes it that much more enjoyable. Make it a new custom to start your day with sayu from an iron kettle.